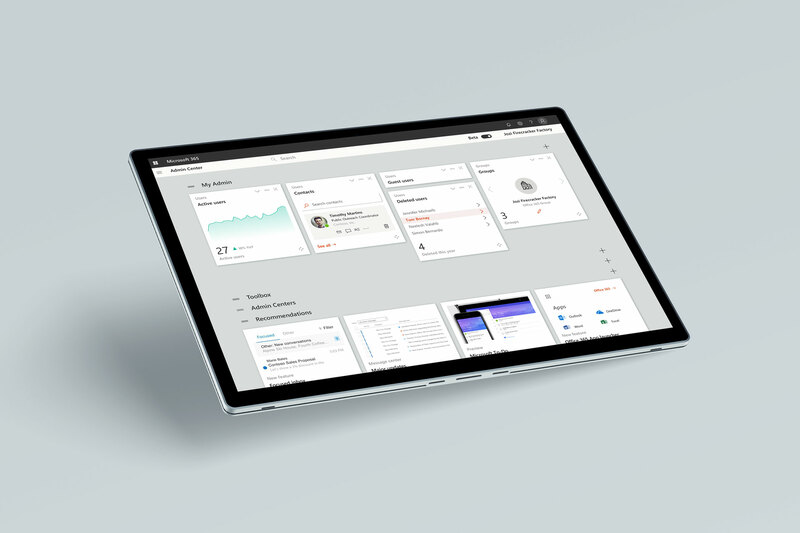 Microsoft Office 365 Admin. 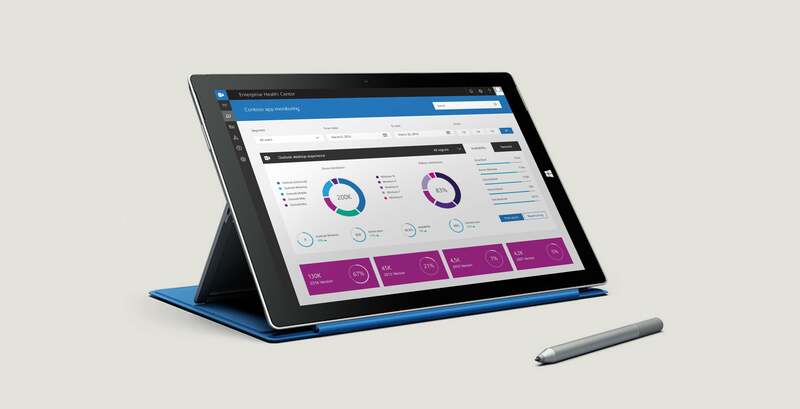 Making it easier for business to manage their Office environment, employees and policies. 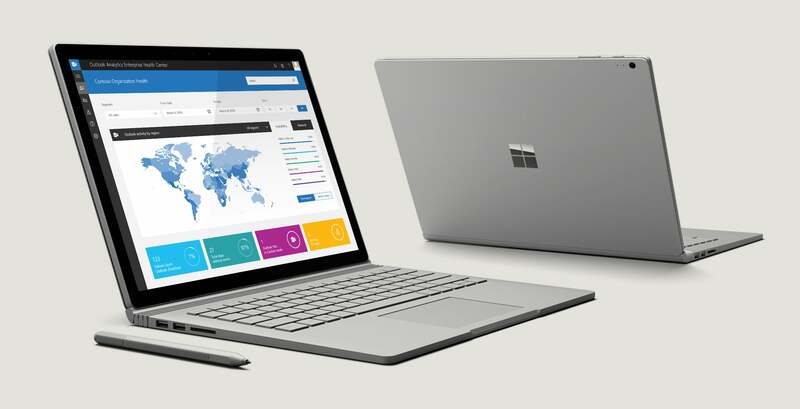 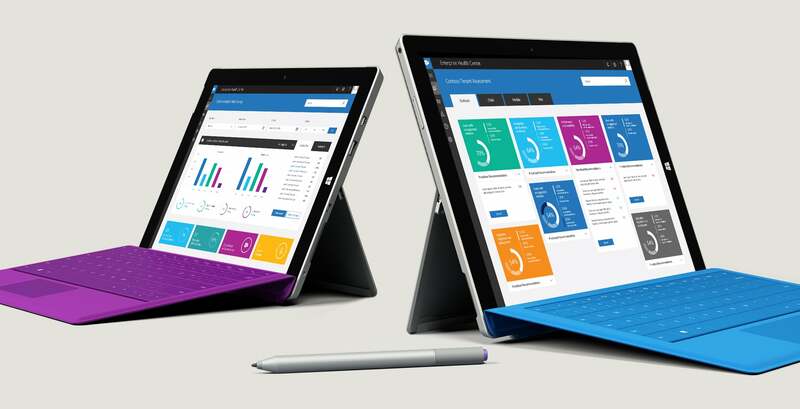 Office 365 is Microsoft’s flagship cloud productivity suite including applications like Word Online, PowerPoint Online and other cloud services such as Exchange Online hosted email for business, cloud storage with OneDrive and Skype for Business. 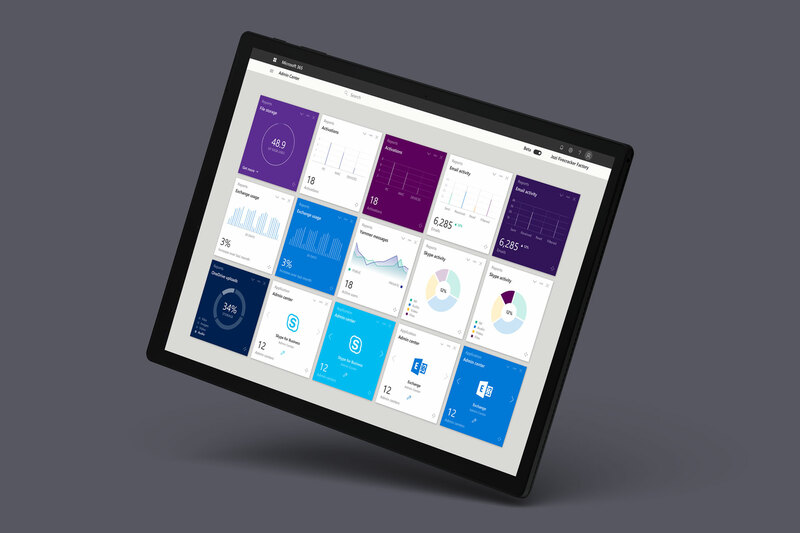 The Office 365 admin center can be used to set up organizations in the cloud, add users, manage domains, licenses, view reports and open and manage support tickets. 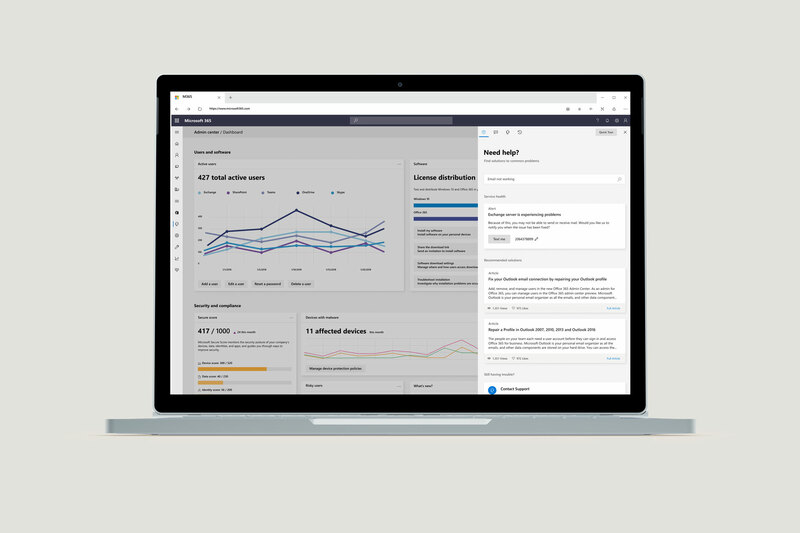 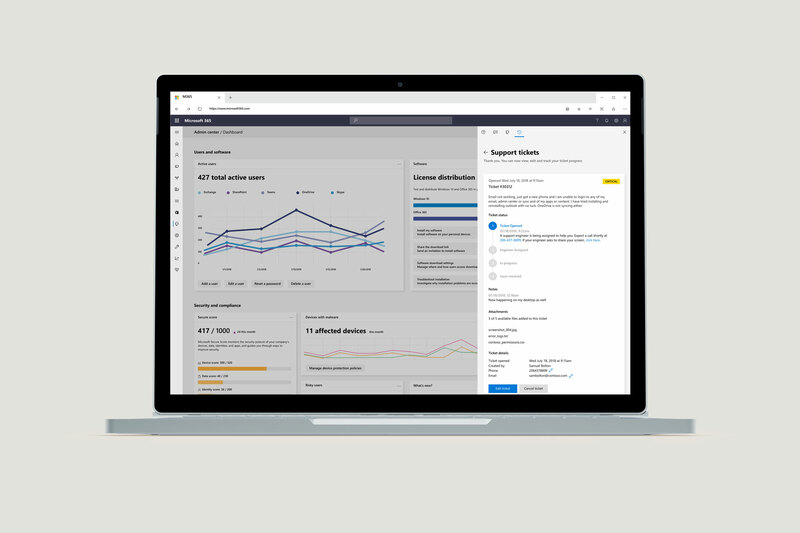 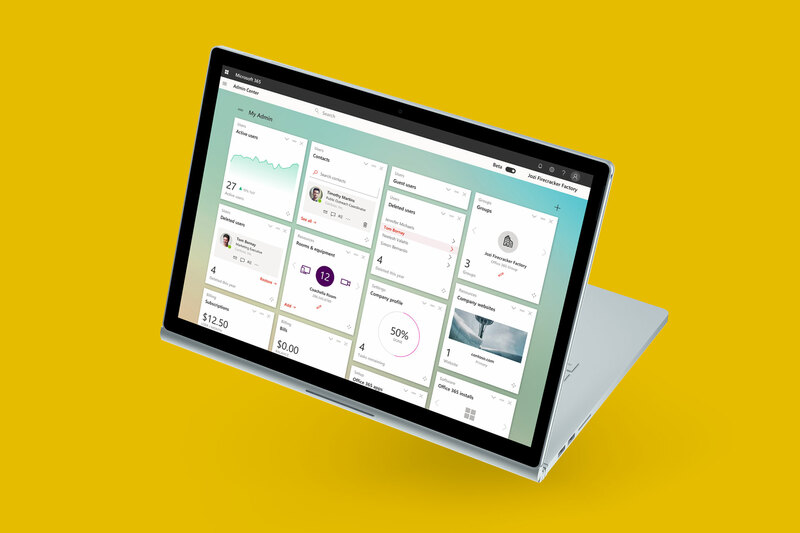 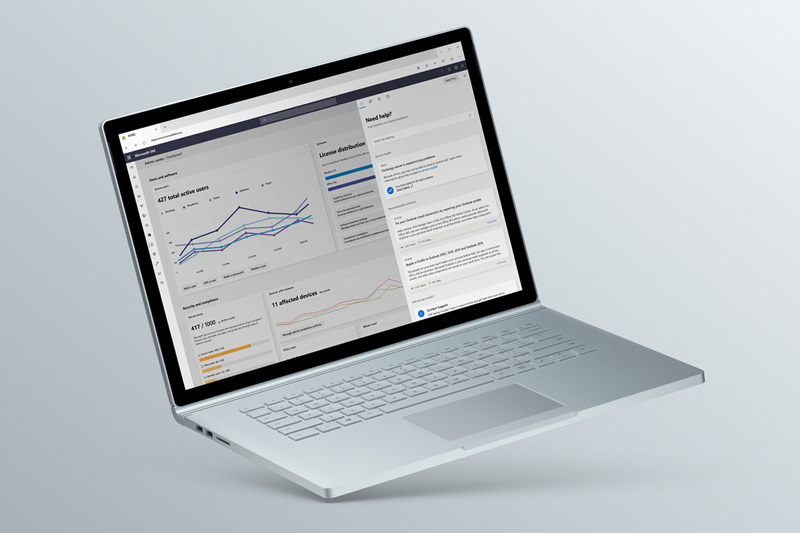 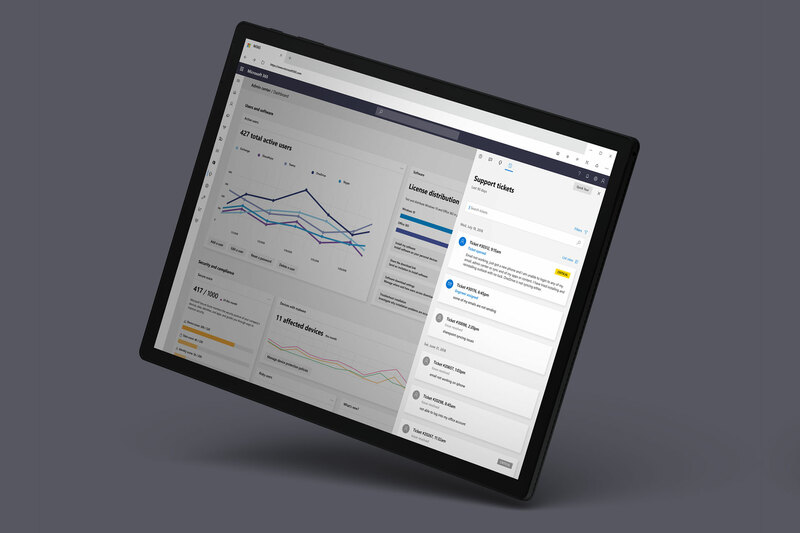 As part of the Office 365 Admin team our role was to develop concepts, workflows and UX for the components inside the Office 365 Admin experience, with the goal of providing SMB and Enterprise customers effective support, greater control and insights into their organizations. 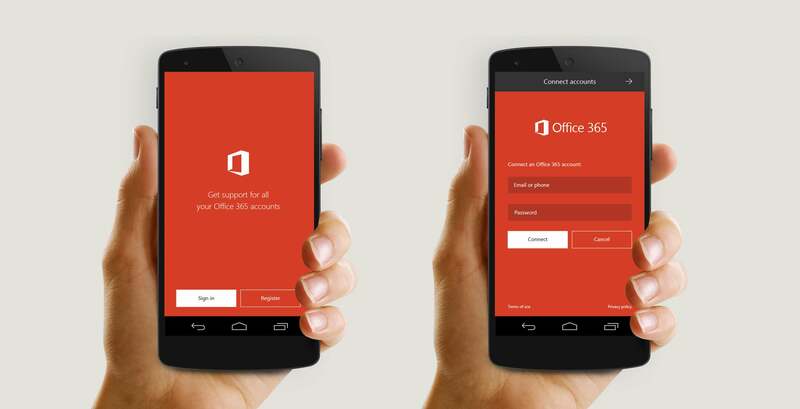 Office 365 Support. 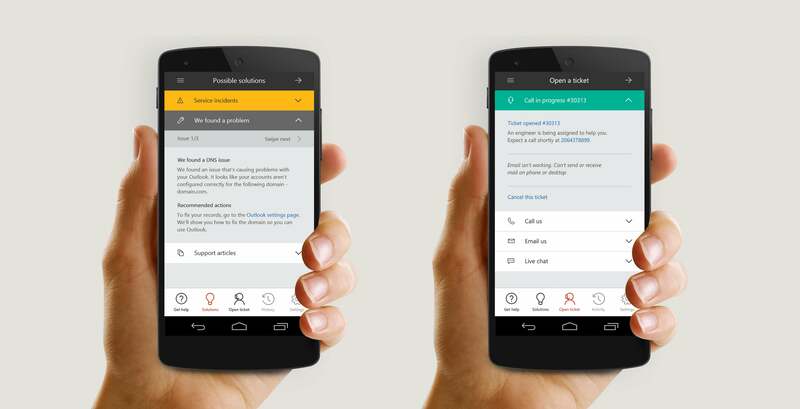 A ticket management application and virtual assistant that lets customers get help fast. 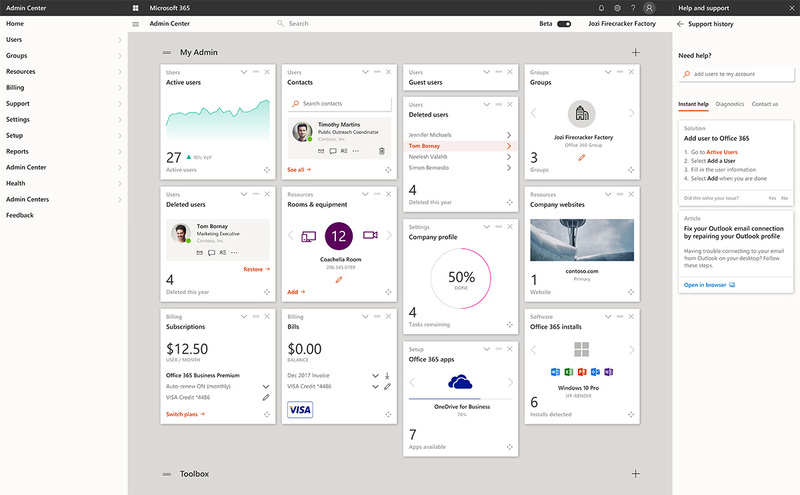 These applications designed for Microsoft Office 365 Support provide real-time product and service status notifications, allows users to create, edit and follow support tickets for multiple issues and admins, and provides help content such as support articles, tutorials and videos for users who wish to self-diagnose and fix technical issues. 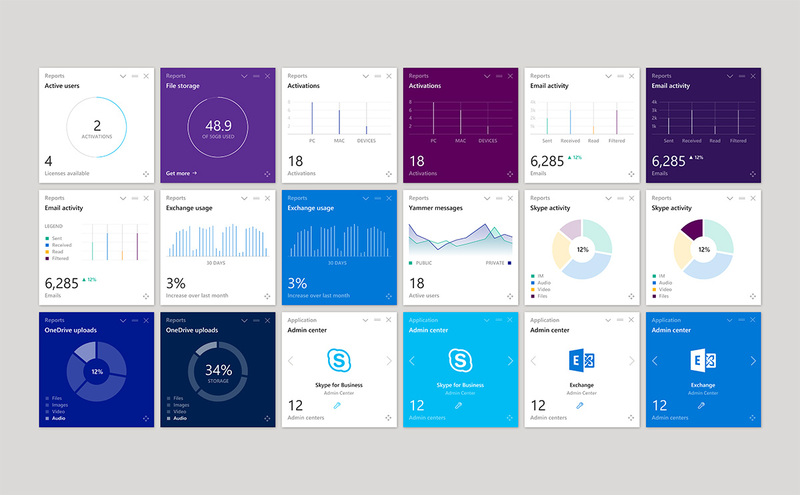 These apps run in the Office 365 Admin Center, Outlook Support for IT Pros and includes support bots which can address common issues and run user diagnostics. 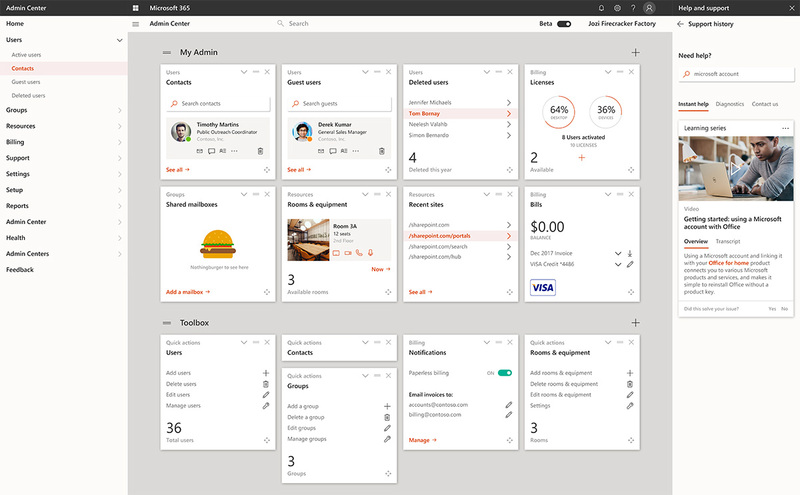 Microsoft Teams Freelancer bot. 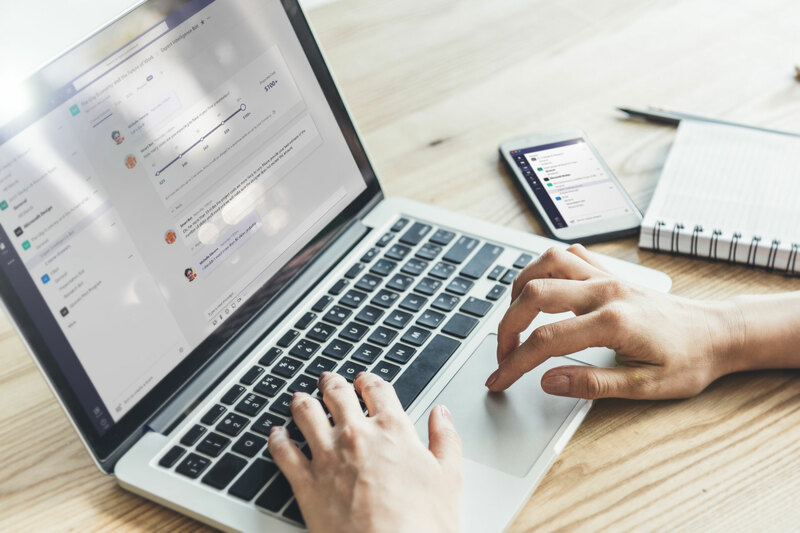 Helping you be more productive by assigning tasks to freelancers in Microsoft Teams. 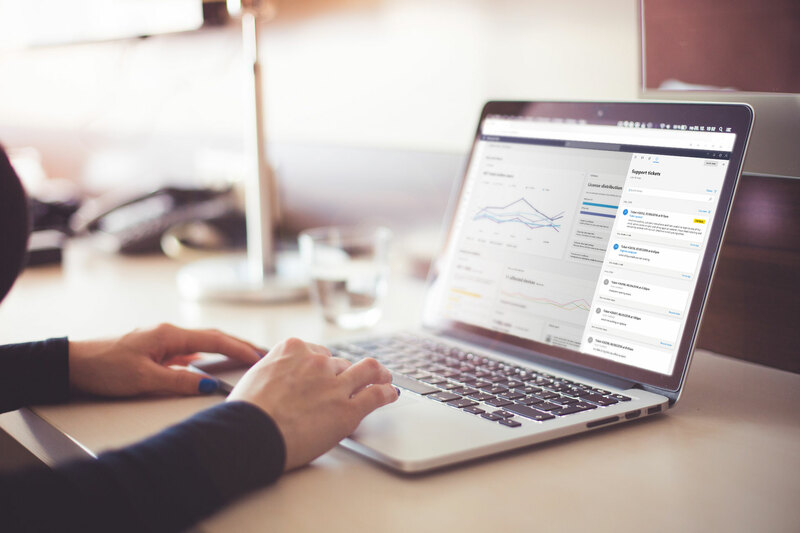 Microsoft and Upwork have partnered to help companies hire and manage freelancers on their projects with the Microsoft 365 Freelance Toolkit. 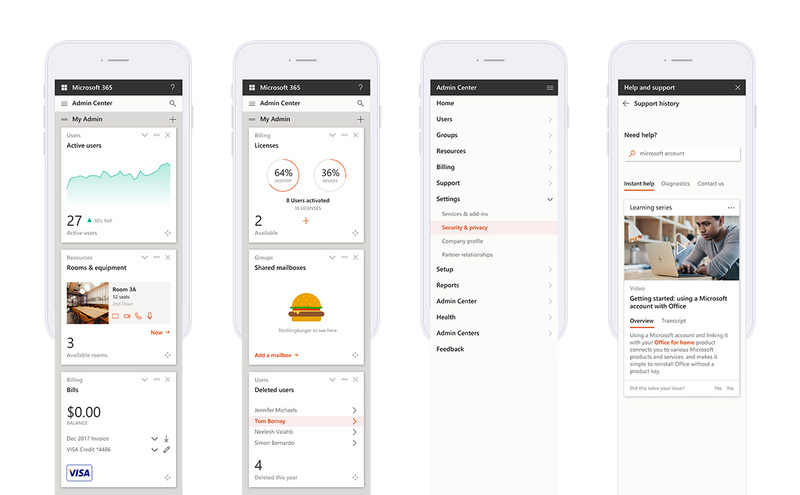 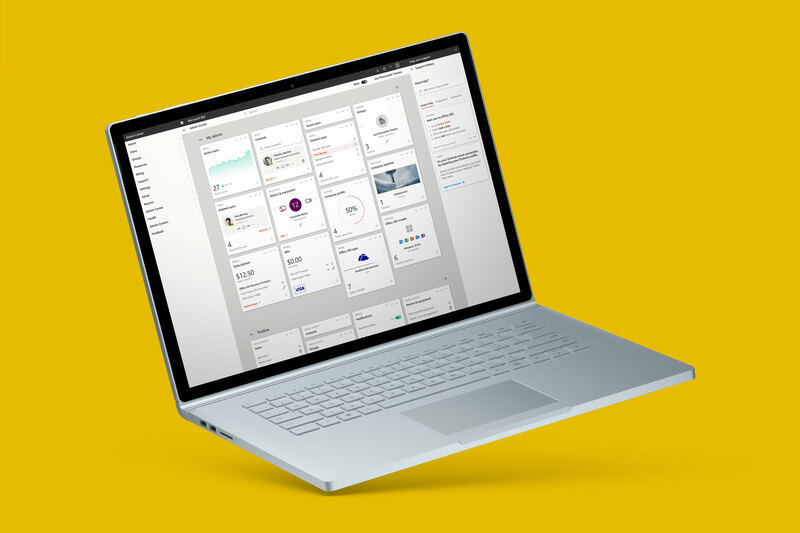 As part of that endeavor, we developed UI/UX concepts for the Teams bot and the complex interactions that take place between freelancers and employers inside of Microsoft Teams — a powerful team collaboration app. 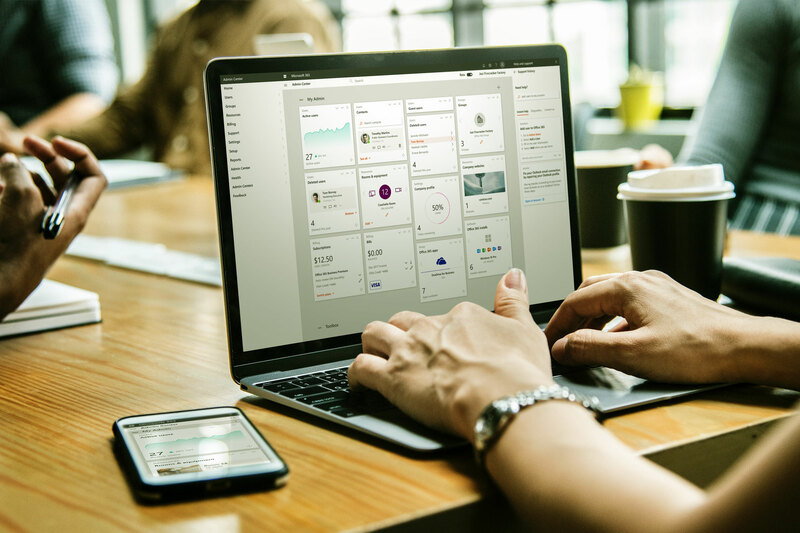 The toolkit is intended to help companies hire, and securely and easily give temporary access of files, data and applications to freelancers they wish to work with.